Specifically designed and manufactured to fit perfectly around the SD12M, RX12 and Wharfedale Titan 12 portable sound systems. 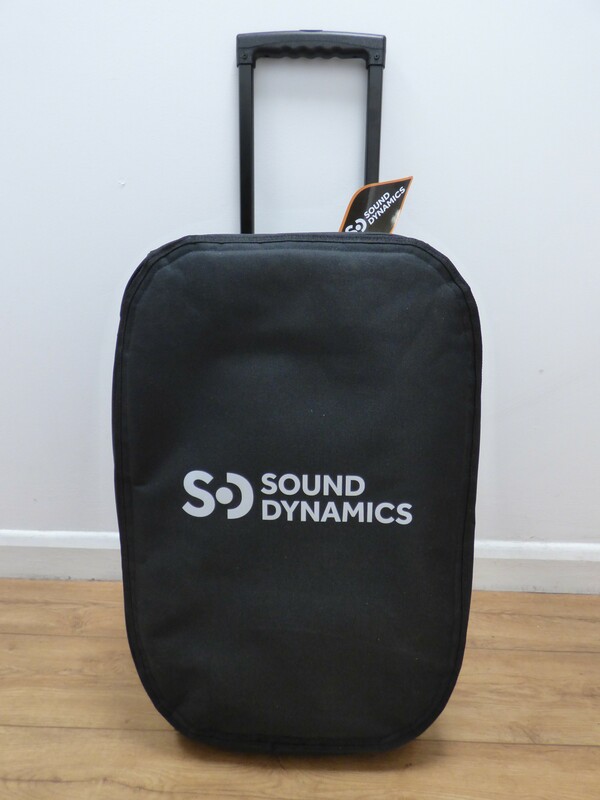 This Tour Bag is a padded nylon zippered carry bag that protects your loudspeaker. It provides extra protection during transit, in addition it is designed for use during operation in outdoor and demanding indoor applications. 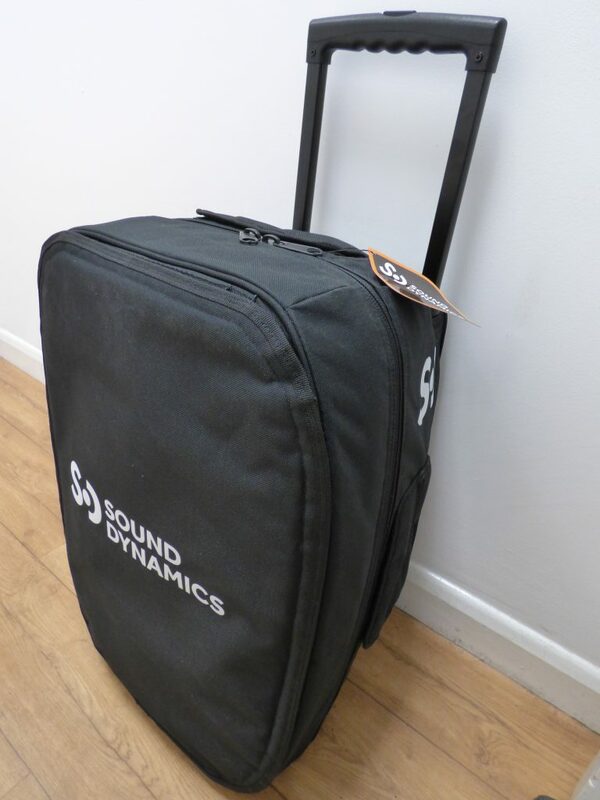 The front of the Tour Bag can be removed, revealing a heavy duty mesh screen that protects the speakers during use. This screen keeps the speakers secure and allows operation while the loudspeaker is still enclosed in the Tour Bag. The front panel is held in place by heavy duty velcro and facilitates quick setup. An additional velcro sealed access panel is located at the rear, over the input panel and allows full connectivity and adjustment of controls while the speakers are still protected. There is an entry point at the bottom of the bag that allows use of the pole mount while the loudspeaker is still protected by the Tour Bag. Velcro sealed access panels for each of the handles aid transportation and ensure that the weight of the speakers are distributed through the rubberised carry handles, just as the designers intended. Due to the SD12M, RX12 and SD12B being slightly larger than the Titan, we have made the covers to have a small extended compartment that ensures it fits all three systems. The RX12, SD12M and SD12B also have wheels, therefore the bag has small holes for these to pop out and also a space at the top for the extendable handle to slide through.